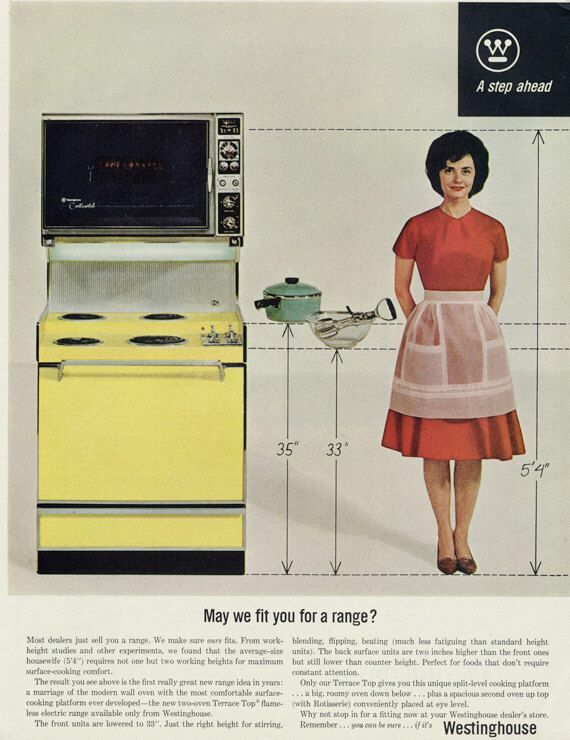 In 1964, long before 'ergonomics' was a familiar term, designers at Westinghouse were on the case for consumer comfort. In the Terrace Top range, the front hobs sit at a height of 33 inches, while the back burners are at 35 inches. 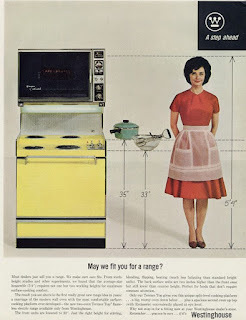 The rationale was to relegate long-simmering pots to the latter, and situate dishes that required constant stirring or other hands-on tending to the more conveniently scaled front units.